"We now have an independent measurement of these emission sources that does not rely on what was known or thought known," said Chris McLinden, an atmospheric scientist with Environment and Climate Change Canada in Toronto and lead author of the study published this week in Nature Geosciences. "When you look at a satellite picture of sulfur dioxide, you end up with it appearing as hotspots – bull's-eyes, in effect — which makes the estimates of emissions easier." "Quantifying the sulfur dioxide bull's-eyes is a two-step process that would not have been possible without two innovations in working with the satellite data," said co-author Nickolay Krotkov, an atmospheric scientist at NASA's Goddard Space Flight Center in Greenbelt, Maryland. First was an improvement in the computer processing that transforms raw satellite observations from the Dutch-Finnish Ozone Monitoring Instrument aboard NASA's Aura spacecraft into precise estimates of sulfur dioxide concentrations. 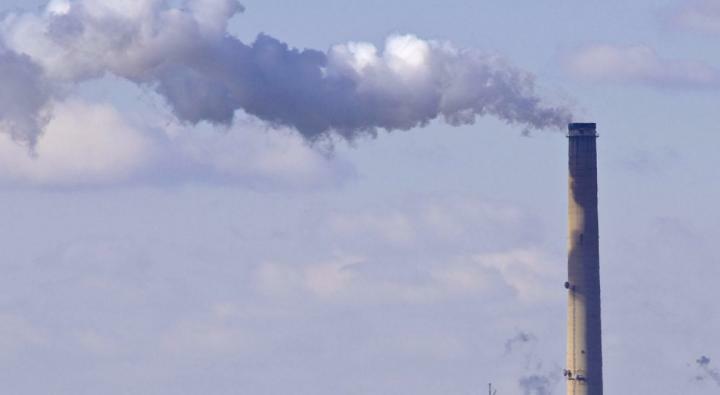 Krotkov and his team now are able to more accurately detect smaller sulfur dioxide concentrations, including those emitted by human-made sources such as oil-related activities and medium-size power plants. "The unique advantage of satellite data is spatial coverage," said Bryan Duncan, an atmospheric scientist at Goddard. "This paper is the perfect demonstration of how new and improved satellite datasets, coupled with new and improved data analysis techniques, allow us to identify even smaller pollutant sources and to quantify these emissions over the globe."